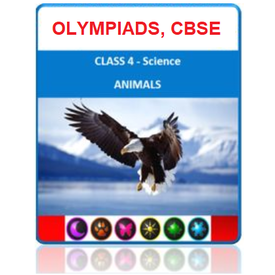 Olympiadtester is the global leader in Olympiad exam preparation having delivered over 2 million online tests for 2,50,000+ registered students. All our content conforms to the syllabus of NCERT and CBSE. Our site is the #1 destination for students appearing for Science Olympiad exams like National Science Olympiad (NSO), International Science Olympiad (iOS), ASSET Science, NSTSE, NISO and ICAS/ IAIS Science. Many of our students have become #1 International rankers and gold medallists. Check out the features to understand more about this offering and why we are unanimously rated as #1. Also, you can see below a sample of what you can expect to get. About Olympiadtester: Olympiadtester is the global leader in Olympiad exam preparation having delivered over 2 million online tests for 2,50,000+ registered students. All our content conforms to the syllabus of NCERT and CBSE. Our site is the #1 destination for students appearing for Science Olympiad exams like National Science Olympiad (NSO), International Science Olympiad (iOS), ASSET Science, NSTSE, NISO and ICAS/ IAIS Science. Many of our students have become #1 International rankers and gold medallists. Check out the features to understand more about this offering and why we are unanimously rated as #1. Also, you can see below a sample of what you can expect to get.